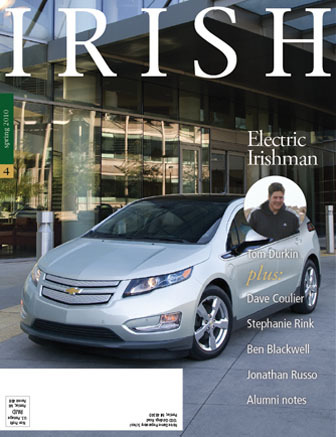 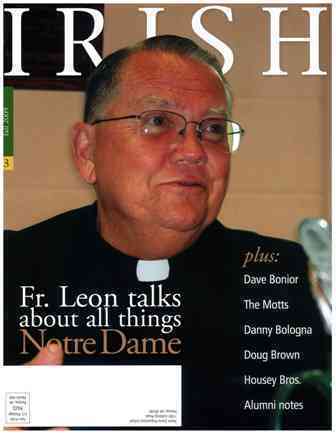 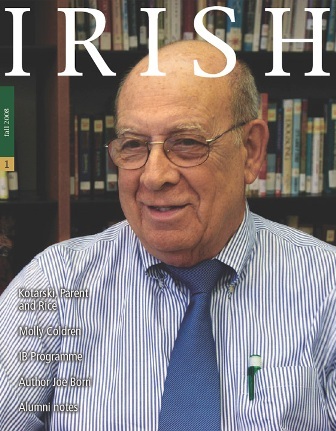 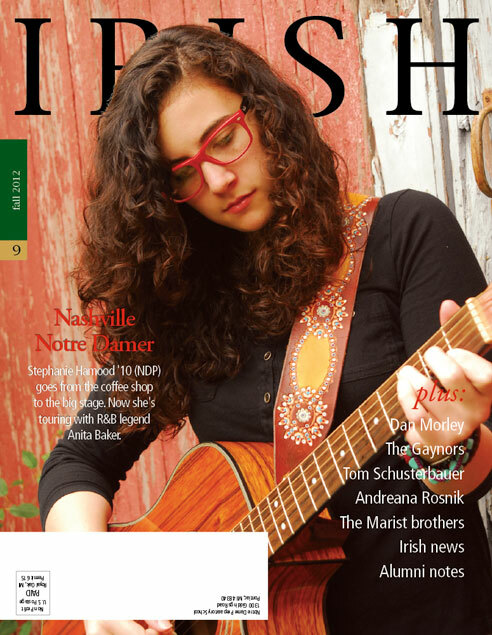 IRISH is a magazine devoted to the alumni and friends of Notre Dame Preparatory, Notre Dame High School, Oakland Catholic, Pontiac Catholic, St. Michael and St. Frederick schools. 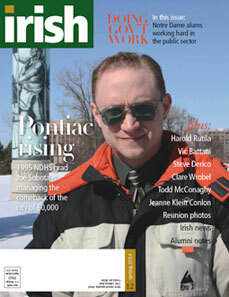 IRISH highlights all Notre Dame Alumni Association news, events, reunions and special stories. 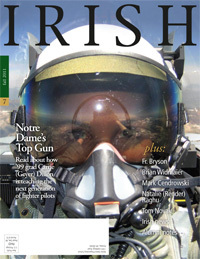 It is distributed free of charge and published twice annually in the spring and fall. 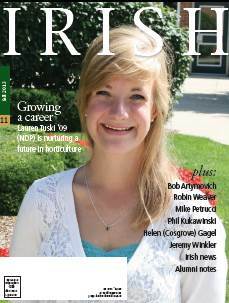 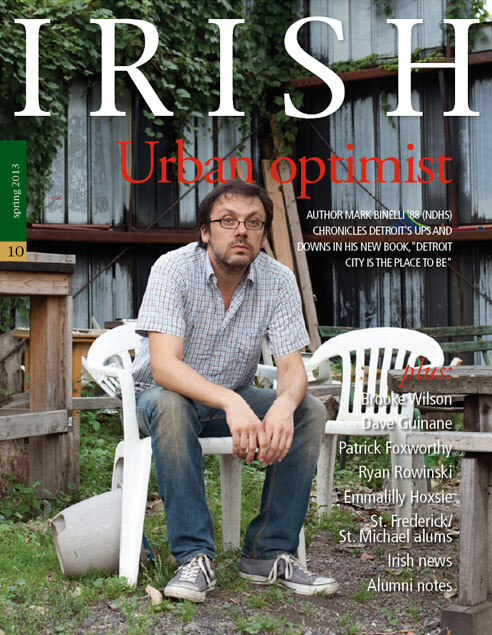 Current Issue > Read stories about a young alum who is studying at one of the nation's top architecture schools; a 1958 grad who played pro baseball with Tommy John and Luis Tiant; and an alum who won a Pulitzer Prize for journalism. 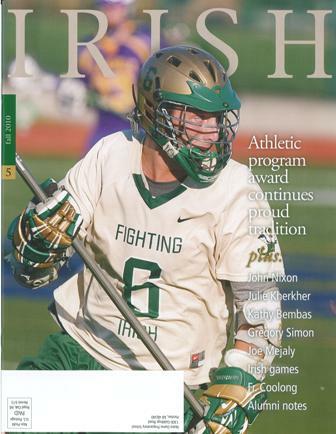 Plus a whole lot more alumni and Notre Dame goings-on! 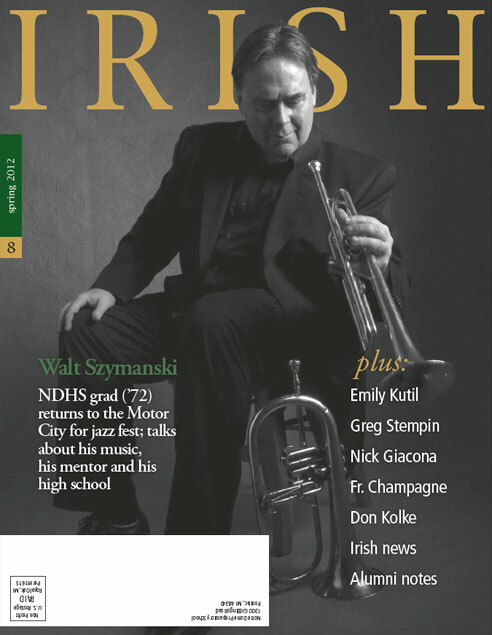 If you have an update or special announcement to share in IRISH, please contact Beth Campbell, Director of Alumni Relations by emailing bcampbell@ndpma.org, calling 248-373-2171 x3, or complete the Update form online. 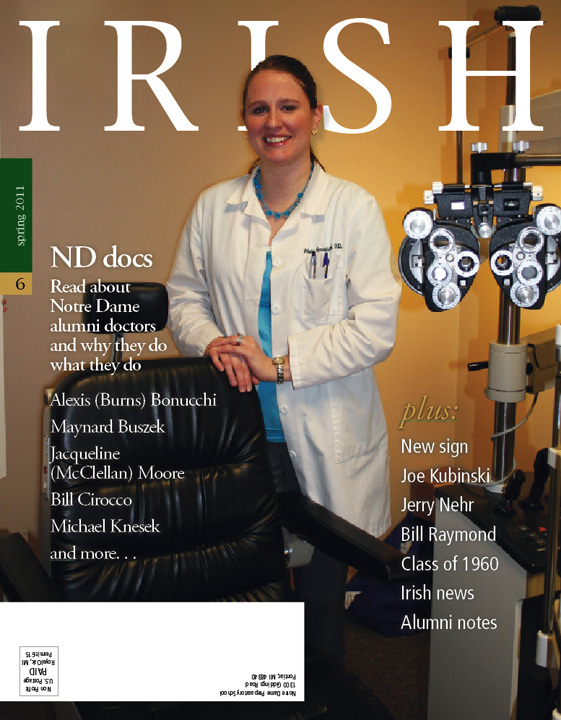 If we are not currently mailing IRISH to your home in the spring and fall, then we likely do not have your correct mailing address on file. 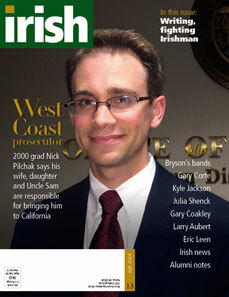 Update your mailing address and receive IRISH.